Eleanora: I’m from Philadelphia, and I majored in Psychology at La Salle. Eleanora: I’ve worn glasses since I was a baby. I worked three jobs before starting medical school (two in retail, one in clinical research). I love the arts (I’ve played violin since I was five and enjoy painting). Eleanora: I’m a second year medical student in Philly, at the moment prepping for Step 1 of national board examinations. Accepted: Why did you choose your program? What are your favorite and least favorite things about your school? Eleanora: I’ve wanted to be a physician as long as I can remember, and after going to an open house, the school was just the right fit. It stood out from the others as a place where the students really worked together and the energy of the students didn’t feel overly competitive. There are also clinics on campus and a lot of opportunity for clinical experiences. My least favorite thing is that the library is small, and it’s not easy to find good study spots on campus. Accepted: What’s your favorite class or clerkship so far? Eleanora: Although I’m not interested in pursuing pathology as a specialty, the pathology lectures have been my favorite. They’re basically all taught by one professor, and he’s shared some great stories from his experience over the years. It will be interesting to see which clerkships I enjoy most. They start in just a few months! 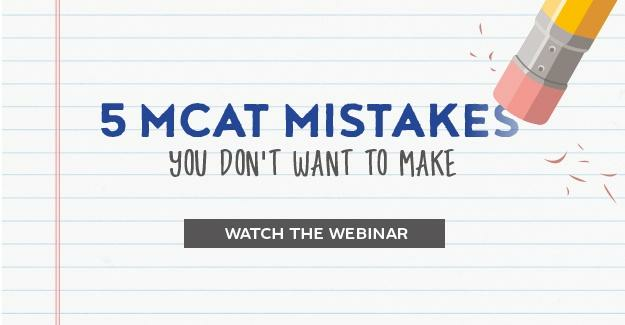 Eleanora: I would say my MCAT score was my greatest challenge. I took it a few times without a drastic improvement in my scores. I would advise other applications not to take it until they’re ready, and by ready I mean scoring above their target score on practice exams. It’s tempting to take it sooner and hope for the best on test day, but if you end up taking it multiple times it will impact your application. It’s better to be patient and wait until you’re ready. Accepted: Can you tell us about your blog? Who is your target audience? What have you gained from the blogging experience? And most importantly, tell us more about apple cider donuts! Eleanora: My blog started as a creative outlet but also a bit of a scrapbook of my life, sharing style, local travel, recipes and reviews. While I’ll continue to share some of the same, after I finish my board exams, I hope to focus more on my premed/med school journey including more tips for students. As the name of my blog implies I will continue sharing ideas, practical tips and inspiration for everyday life and style, especially for us students on a budget! As for the donuts, I’m open to suggestions but the best I’ve tried are still at Linvilla. You can follow Eleanora’s med school adventure by checking out her blog, Inspirationele, or Instagram. Thank you Eleanora for sharing your story with us!